If you run a business or franchises in Southern California, you may have to deal with all kinds of competition. In fact, you may be thinking about a special promotion soon, that will give you that needed “edge” on your competitors. When it comes to promoting your business, channel letter signs can be one of your best business investments. Here are three ways that these signs can make things better for you. Dave’s Signs designs, builds, installs and services restaurant signs. When we fabricated this sign for Yolanda’s Café, we included a beautiful cursive font and a single long-stem red rose. The Yolanda’s Mexican Cafe lettering utilizes the power of internally illuminated channel letter signs. By placing the sign on a relatively dark and plain background, we highlighted all the good points of this kind of signage. 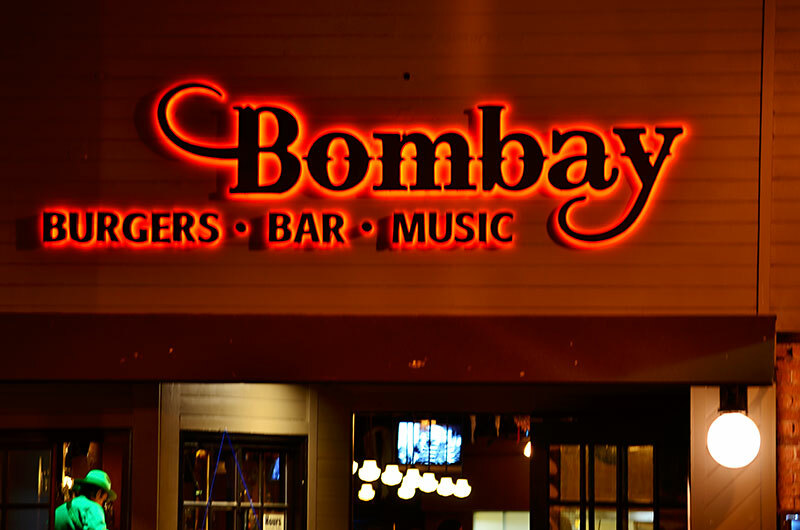 The Bombay Bar & Grill has been a landmark in Ventura County for three decades. Notice how the sign is simple, yet it lets you know about the three most important features of the business, burgers, bar, and music. We didn’t illuminate these letters from within. Instead, the lighting from the back highlights the letters and creates a halo effect. These letters feature a simple and easy to read font. They’re internally lit, and even though the design seems simple, it’s a highly effective form of advertising because it offers a professional appearance. Discover all the possibilities that channel letter signs can do for your business when you call Dave’s Signs today at (805) 641-1387 or reach out to us online.